Two things primarily move futures prices of raw sugar at Intercontinental Commodities Exchange (ICE) in New York. 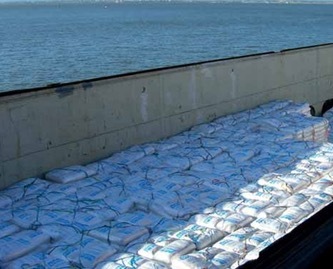 First, traders take the cue for either building long forward positions or shorting from intergovernmental agency International Sugar Organization (ISO) projection whether the world will have production deficit or surplus for a season which runs from October to September. Second, depending on the extent of production deficit or surplus, ISO will release stocks- to-use ratio for a season and that becomes an important mover of sugar prices. On both counts, sugar holds promise of doing well on ICE through the 2016/17 season. In its first forecast for the season, the London headquartered ISO says the 2016/17 deficit will be 7.05mt (million tonnes) on the back of a 5.74mt shortfall in the sugar year ended September 2016. ISO has arrived at the deficit based on its estimate of global production growing year-on-year by 2.17mt to 168mt and consumption rising by about 3.5mt to 175.1mt. In case ISO projections come true, then the world sugar inventories will fall below 75mt by current season end. As a result, stocks-to-use ratio will be down by critical 4.9 points over the season to 43.2% of consumption, according to ISO. “This is the lowest since 2010/11. It is also below the seemingly critical level of 45% which eventually triggered a surge in raw sugar prices above 24 cents a pound,” between 2009/10 and 2010/12. Being an agro commodity, it is always the case that forecasting agencies come up with different deficit estimates. Like Rabobank has made a substantial upgrade in its deficit estimate from the last one to now pitch at 7.90mt. Platts Kingsman has added an extra 570,000 tonnes to arrive at a higher deficit of 6.45mt. Referring to the two major pricing metrics available from ISO, senior Indian industry official Om Prakash Dhanuka says: “ICE March raw sugar futures are trading at around 24 cents a pound. The projected stocks-to-use ratio to be down to the lowest since 2011-12 will be taken as a pointer to sugar prices advancing further in the coming days. Sugar badly needed to break away from low prices. Between May 2012 (monthly raw sugar average 20.81 cents a pound) and 2015 we saw monthly raw sugar price average at one point sinking to 11.50 cents a pound. Such prices caused big holes in sugar company balance sheets. Sickness in the industry became widespread irrespective of geographies.” In the last nearly four years, factories in India, the world’s second largest producer of sugar after Brazil suffered the most among all countries making the sweetener from cane. “This happened because India remains the only country, which is yet to introduce the revenue sharing formula (RSF) under which proceeds from sale of sugar and cane by-products such as bagasse based electricity, ethanol and press mud are shared between farmers and factories based on the ratio of their relative costs. In this country much to the disadvantage of factories, the central government ahead of each season will fix fair and remunerative price (FRP) for cane. Factories are under compulsion to pay this cane price irrespective of prices at which sugar is sold. The ones located in states like Uttar Pradesh and Bihar pay even more where local governments arbitrarily add a premium to FRP,” says Dhanuka. The Indian industry can hopefully look forward to migration to RSF since a high powered committee headed by a former governor of the central bank and chairman of Economic Advisory Council C Rangarajan has strongly favoured introduction of RSF, which is working well to the satisfaction of all stakeholders in other producing countries. Sugarcane being a highly politicized issue in India because of engagement of 50m farmers in its cultivation, the government has given the message that migration will be possible only when a system is in place to guarantee FRP payment irrespective of revenue realizations from sugar and its by-products. The Commission for Agricultural Costs and Prices (CACP), therefore, favours creation of a price stabilization fund (PSF) from which whenever the occasion arises the government will draw money to pay cane growers the difference between FRP and RSF. After experiencing extreme dry weather in some major cane growing states such as Maharashtra and Karnataka, India has had a near normal monsoon this year. But cane being a crop which takes anything between 18 and 24 months to mature, the impact of a two-year long drought will be felt this season when sugar production, according to Verma, will be down to 23.3mt from 25.1mt in 2015/16. The ISO has, however, forecast India making 24.5mt of sugar in 2016/17. India is braced for lowest sugar production since the beginning of this decade as the area under cane is down by nearly 5% to about 5m hectares. Impending major production setback, says Verma, will be largely on account of Maharashtra, traditionally the country’s largest supplier of sugar. There because of land parched by severe drought in the past two years, the area under cane is down a whopping 23% that is likely to lead to a 25% year-on-year fall in production to 6.27mt. Shortfall in production will not, however, create shortages at any point of the season since 2016/17 has opened with stocks of 7.5mt, says Dhanuka. The total supply during the season, including inventory on 1 October will be 30.8mt against demand expected to range from 25.6m to 25.8mt. But what about 2017/18 when the season will open with stocks of around 5mt? Ideally, India, which is the world’s largest sugar consumer, should open with inventories that is good for two and a half months. The reason for this is sugar production starts in full throttle only in December. So the risk of tight supply sending sugar prices to politically incorrect levels will remain. Whatever producers may say, sugar is a sensitive commodity in India with the government always keeping an eye on its prices. The possibility of India importing some amount of sugar to reinforce supply in the first quarter of 2017/18 remains. Dhanuka, however, says “a better course will be to offer excise duty waiver on incremental production of sugar in 2017 October and December over the corresponding months in 2016. This will encourage factories to get into the act of crushing early season varieties of cane as soon as new season kicks off.” India imported 676,000 tonnes of sugar in 2012/13 and then a smaller quantity of 98,000 tonnes in the following year. An analyst with Rabobank Singapore says India is likely to import around 2mt of sugar as the current season progresses. Though there are not many takers of the proposition, any significant purchases of sugar in the world market by India could further support global prices trading near four-year highs. The primary reason for upward revision of global sugar deficit during 2006/07 is fading of earlier expectations for bumper Brazilian sugar production. Earlier high optimism about Brazilian sugar output was linked to plenty of cane left in the field due to heavy rains last year interfering with crop harvesting and at the same time plenty of water allowing good growth of new cane. Dry weather from the start of this year facilitated rapid progress in field work as it meant higher sugar recovery from cane. But reports coming lately point to months of low rainfall could lead to an early end of the season. This may not, however, leave an impact on sugar production. Rabobank says in the event of reduced supply of cane, crushing factories might divert even more cane to sugar production from ethanol. Sugar prices at four-year highs with prospects of these appreciating further and crude oil prices being where these are will tilt the balance in favour of the sweetener vis a vis ethanol. Interestingly even then ISO says Brazilian sugar output on October to September basis (April to March is that country’s season) will be down 1.25mt to 36.5mt. Farm consultancy Datagro has cut its forecast for Brazil’s centre-south (this region accounts for over 90% of the country’s production) sugarcane crush to 597mt, down 4.4% from its May projection of 625mt due to dry weather. What about China? That country’s raw sugar output in 2016/17 is likely to rise 8.1% from a year ago to 9.3mt. Beijing is also likely to release 1.8mt from its state reserves of 6.5mt. China could import 3.6mt of sugar in 2016-17 compared with 3.5mt a year ago. The Chinese strategy for principal agricultural, minerals and metals is to build reserves when their global prices are down and release these for internal use when prices rule high. Sugar is one such commodity. BRAZIL’S GIANT SUGAR AND ETHANOL INDUSTRY BOUNCES BACK, AS WORLD SUGAR PRICES RISES. The current high world price of sugar has come as a relief to Brazil’s giant sugar and ethanol industry, hit hard by five years of low sugar prices, together with the artificially low price of gasoline, with which ethanol fuel distilled from sugar cane, has to compete, writes Patrick Knight. The world sugar price is at its highest for four years, largely because up to 10mt (million tonnes) more tonnes of sugar will be used in the next 12 months than will be produced, causing stocks to fall. All the major sugar-producing countries, such as India and Thailand, as well as Brazil, are now using all their refining capacity, so are unable to make any more sugar. It had been hoped Brazil’s 23016/17 cane crop would be a record 630mt, but it will now be only about 605mt. Many companies in Brazil are heavily in debt as a result of a major mill building programme of a decade ago. Dozens of high- cost, elderly mills shut down in the past few years, and plantations have been neglected. The price of ethanol fuel has been held artificially low, all resulting in an extremely difficult five years for the industry. With sugar now much more profitable than ethanol, mills are now giving priority to sugar. Forty-eight per cent of the juice squeezed from sugar cane this year, has been made into sugar, which compares with 42% of it being made into sugar in each of the past two years. The world sugar price is expected to remain around the present level of US$ 20 cents per pound for the next few years, as neither India, or Thailand will be able to increase production either. This is encouraging many of the large new mills built in the past few years with the aim of producing all, or mainly ethanol, to add sugar refining capacity as soon as possible. The extra refining capacity will allow half of the cane to be available 2017/18 will be made into sugar, so a million tonnes more sugar will be exported 2017/18, than the 25mt to be exported this year. Many mills have large debts, so their creditors are pressing companies to give priority to paying them back, rather than embarking on new investments. So far, no company seems to be making plans to build a brand new ‘green field’ mill, about 200 of which have come on stream in the past ten years. Any spare money will be spent on more maintenance, and upgrading existing equipment. In the first part of this year, Brazil’s congress decided to start action to push President Dilma Rousseff, elected two years ago for a second term, from power. Rousseff has now been impeached, largely because of suspicions that she was involved in the so called ‘car wash’ corruption scandal. This involved massive bribes being paid by directors of Petrobras, the giant state-controlled oil company, to politicians. This impeachment has brought to an abrupt end a 14-year period during which Brazil was ruled by the left leaning ‘Workers Party’ the PT. The PT did not have much love for the sugar industry, which it accused of being a strong supporter of the military regimes which ruled Brazil for 20 years. During a period when the world crude oil price was high, which pushed up Brazil’s import bill to unsustainable levels, the industry decided to build numerous large new mills which would make billions of litres of ethanol fuel, which could replace petrol in cars. It was also expected that many other oil importing countries would queue up to buy Brazil’s ethanol. During a visit to Brazil by US President George W Bush, the Brazilian president Luis Ignacio ‘Lula’ da Silva claimed that Brazil would soon become the Saudi Arabia of ethanol. He said this just months before huge reserves of crude oil were discovered deep down under the ocean bed far from the coast, were made. Following these finds, enthusiasm switched from ethanol to giving priority to the development of this new resource. Ethanol was relegated, if not forgotten. The price motorists pay for their fuels in Brazil has rarely been left to market forces. The price of gasoline, with which about 20% of ethanol has been blended in recent years, was set well below the world price. This was done in an attempt to hold down inflation, always a worry in Brazil. The motor industry had perfected engines would run equally well on 100% gasoline, or 100% ethanol, with sensors allowing engines to adjust settings automatically to what fuel was in the tank. But this flexibility did not guarantee a new market for ethanol. With the gasoline price held low, ethanol was often sold for little or no profit, at a time when — because of overproduction — the world sugar price was falling. Although Brazil was able to sell some ethanol to the United States, where a government-sponsored programme allowed ethanol made from maize to be added to gasoline, no other country has imported much ethanol, as a substitute for gasoline. One fear was that there was no real way that supplies could continue to be guaranteed. The major investment needed to build costly new storage and distribution facilities for ethanol was done in Brazil, but not elsewhere. This combination of events resulted in Brazil’s sugar industry having several extremely difficult years. Only the advent of a more consistent pricing policy for the gasoline produced by Petrobras, coupled with the rise in the price of sugar, has enabled the sugar industry to start what should be a sustained recovery. Brazil has long felt that Thailand, the world’s number three producer of sugar, was giving massive subsidies to the sugar industry, and has now asked the World Trade Organization (WTO) to look into this. 20 years ago, Brazil had successfully taken measures at the WTO which forced the EU to cut subsidies to sugar beet producers. The sugar stocks in consuming countries around the world appear reasonably comfortable at the moment. But the prospect of demand exceeding supply for several years to come, means prices will remain high. China for example, has substantial stocks of sugar, and may sell some of these. But it will not risk them running out. Despite its large stocks, China was Brazil’s largest single customer for sugar last year. Another surprise was that India, the world’s number two producer, was in second place. The difficulties for Brazil’s sugar industry of the past few years, have been compounded by the fact that increasing concern with pollution caused the government to introduce measures aimed at halting the burning of ripe cane on the ten million hectares now planted to the crop. The industry has therefore had to buy thousands of new harvesting machines, each one costing hundreds of thousands of dollars. The way cane is planted has also being altered as well. When cane was cut by hand, the main priority was to prevent erosion washing away top soil, so plantations were terraced. If a harvester is to operate at optimum efficiency, when each machine can substitute 20 manual cutters, the land must be level. Levelling land to allow machines to operate at full speed, has not yet been completed. Because of this, badly set blades mean substantial amounts of soil being taken to mills, along with the cane. The high level of impurities damages the machinery which squeezes the liquid from the cane. This contaminates the juice, making it more costly to process. All this means the amount of sugar equivalent produced from each tonne of cane, has gone down pushing up the cost of production. It will be many years before all plantations are level enough to allow for machines to operate as efficiently as they could. Sugar has been identified as a major cause of obesity, leading perhaps to increased disease. But with millions of people moving from the countryside to cities each year, while the world population continues to grow, demand for sugar is still increasing by about 2% each year. This means several millions of tonnes more sugar will be needed each year for the forseeable future. The difficulties the industry in Brazil has experienced in recent years, has resulted in Brazil’s share of all the sugar traded around the world each year falling from its previous average of about 50%, to about 45%. Brazil is one of the few countries in the world which still has substantial areas of land which could be switched from others crop to growing cane. Areas now grazed by cattle could also be recycled. Higher yielding varieties of cane are being developed, with the result that up to 2% more cane could be grown each year on the same area as before. All the 200 new mills built in Brazil have been equipped with the latest generation of boilers and generators needed to produce the steam and electric power needed to process the cane. The industry now sells a substantial surplus of electricity to the grid. Older mills are also adding new generating equipment. This has created an important new source of revenue in a country, which already produces a large proportion of its energy from renewable fuels than any other.